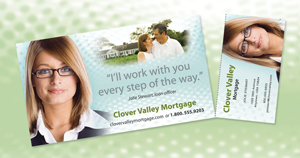 A rip card is a cost-effective marketing tool that your target audience can’t overlook. Rip cards provide extra-valuable real estate for your important messages. They also eliminate loose mailing inserts, ads, and order forms, which are often overlooked, lost, or discarded without a glance. A rip card can be any type of promotional piece (such as a postcard, letterhead, or brochure) that contains a perforated portion designed to be ripped off. The tear-away portion typically complements the overall promotional piece, while also functioning on its own after being removed. Rip cards offer creative marketing opportunities for all types of businesses, but are especially popular with membership organizations, financial institutions, retailers, publishers, insurance carriers, and utility companies. Not only can rip cards be designed as donation and order forms, school fundraiser forms, and appointment reminders, but they are also a great way to feature tear-away coupons, business cards, ads, new-product announcements, special offers and promotions, change-of-address/updated information forms, surveys, and requests for information. While we may joke about rip cards as a fun new way to get ripped off, our commitment to quality is serious, so you can rest assured your decision to purchase printing from us is a good one.